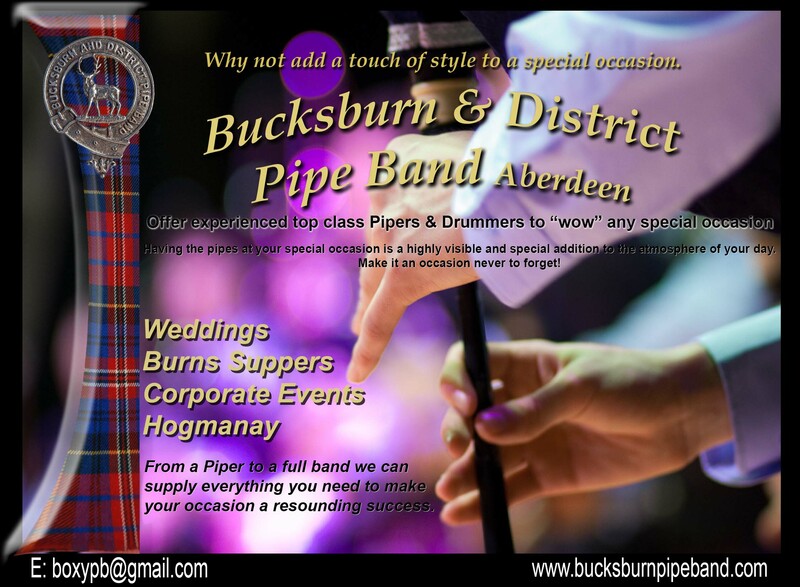 Welcome to the Bucksburn & District Pipe Band, Aberdeen website. We hope you enjoy your time browsing through our site. 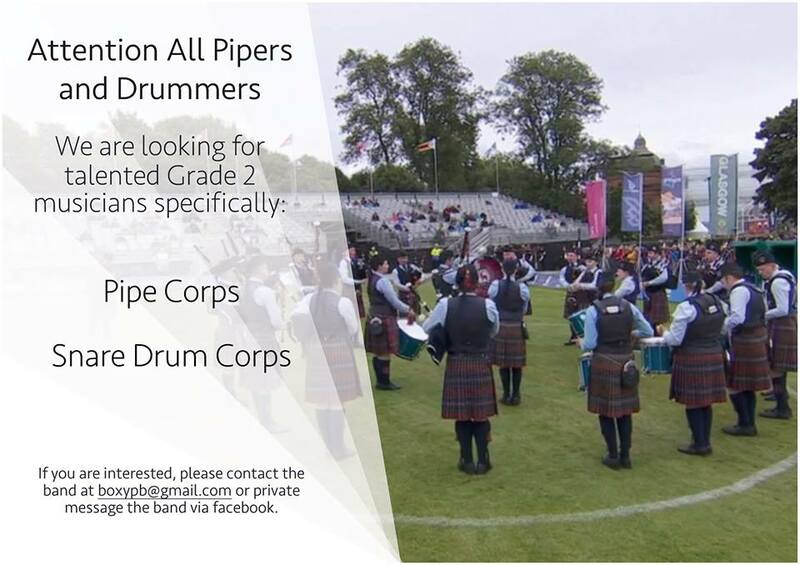 As well as being a competitive band at Grade 2 and Novice Juvenile grade, Bucksburn and District Pipe Band is the top teaching Band in the North East of Scotland. 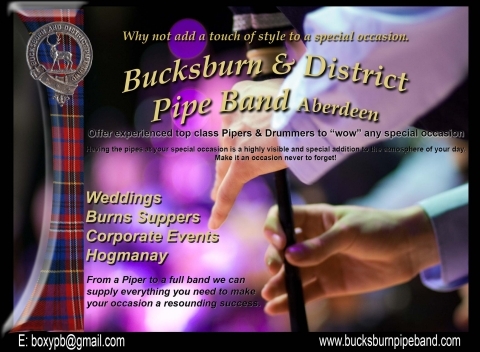 In addition the band undertake engagements large and small, including weddings, functions, ceilidhs and concerts. 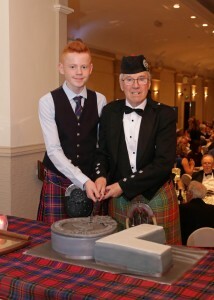 Please browse our site to find out more about the current band and our rich history. You contact us via the Contact Us link, which can be found at the top of every page.